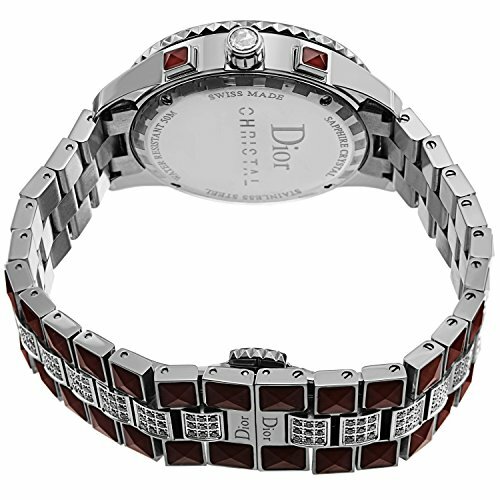 Stainless steel case with red sapphires and diamond with a stainless steel bracelet with red sapphires and diamond. 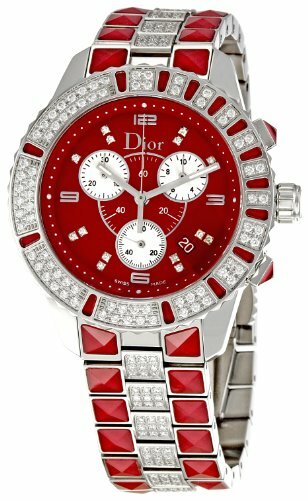 Red dial with luminous hands and diamond hour markers. Minute markers around the outer rim. Date display appears between the 4 and 5 o'clock position. Three: 1/10th seconds, 30 minutes, 60 seconds sub-dials. Quartz movement. Scratch resistant sapphire crystal. Case diameter: 39 mm. Deployment clasp. Water resistant at 50 meters/ 165 feet. Functions: hours, minutes, seconds, date, chronograph. 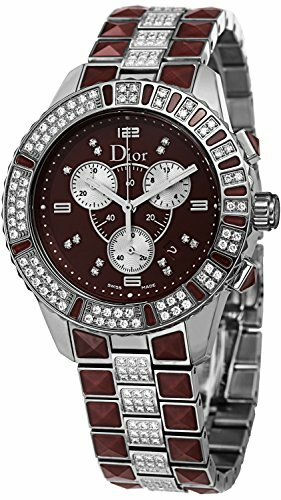 Christial Dior Christal Red Sapphire and Diamonds Chronograph Ladies Watch CD11431FM001.